Home/Knowledge Base/Email/How to archive emails? Business hosting packages allow you to archive emails. The email archiving feature allows users to copy incoming, outgoing or mailing list messages for a specified amount of time. You can find the archived file under the mail directory in the user’s home directory. 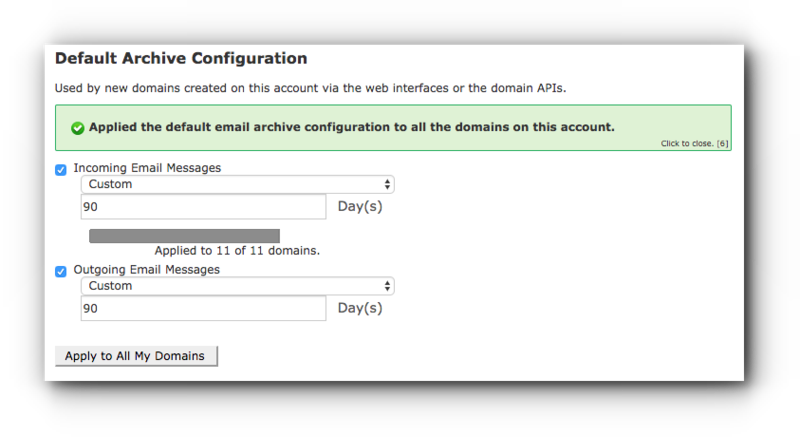 By default, the email archiving feature is enabled, with retention period set to last 7 days. Business Hosting & bizMail plans: Email Archive is turned on with last 7-days retention period. Step 2. 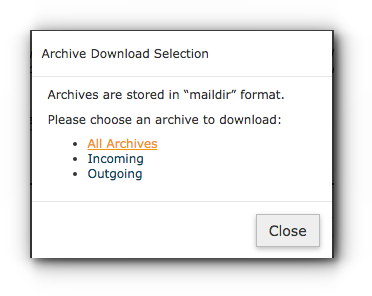 Click on Archive under Emails panel. For bizMail Hosting plans, email archiving has a maximum of 90 days retention. Step 4. Click on Apply to All My Domains and this will be the default configuration of all domain names in the cPanel account. Manage Archiving shows you the list of the settings you have for all domain names in the hosting plan. It allows you to configure for each domain name. 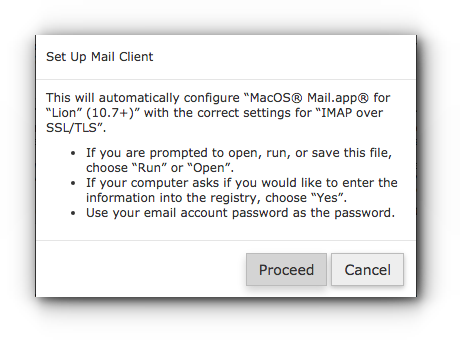 View the messages, as read-only, in your mail client using IMAP Access. Download the archives to your PC. View the messages via Access Webmail. When you click on IMAP Access in the Manage Archiving for the particular domain name, an email address _archive@yourdomain.com is created automatically and you can access the email archives when you set this up with an email client using IMAP as your incoming mail server. 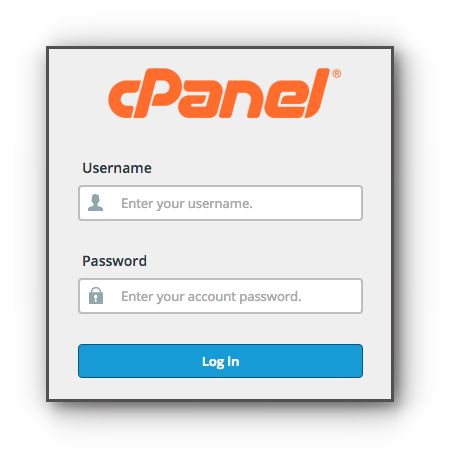 Take note that the password is your cPanel password. 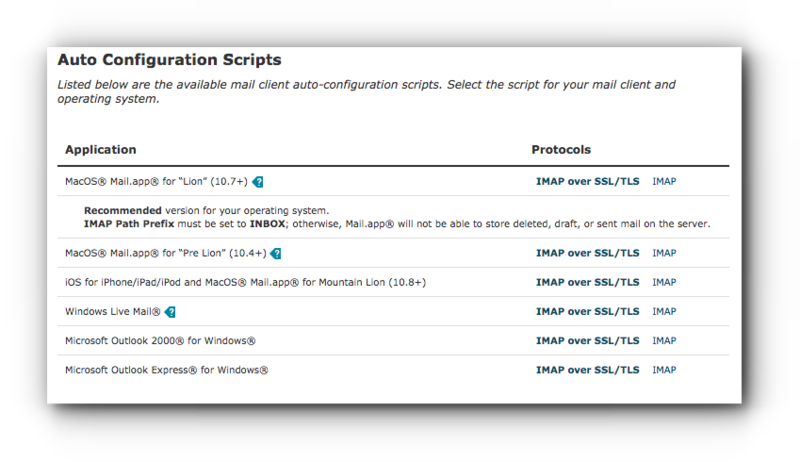 Auto Configuration Scripts – allows you to download the configuration file and the email account will be automatically set up in the email client you have chosen. 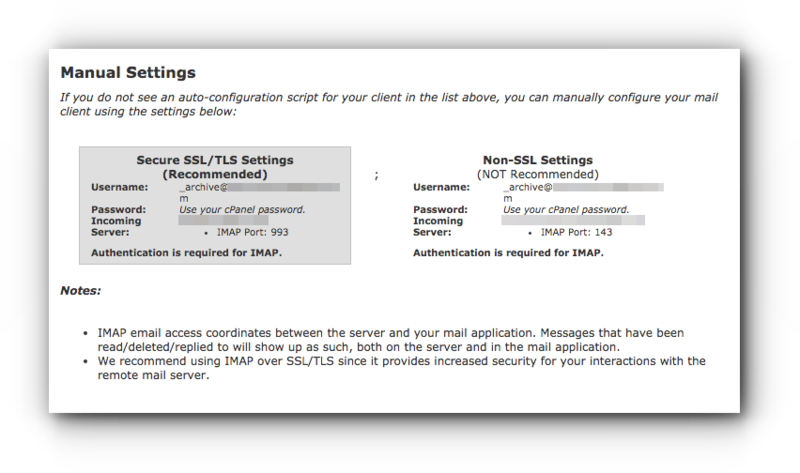 Click on IMAP over SSL/TL if you wish to set this up with SSL IMAP link if without SSL. Take note of the following instructions before you click on Proceed button. Different email clients may have different instructions. Once you click on Proceed, the file is downloaded to your computer. Access the file. For Manual Settings – you may need to add the email account manually. Settings for the setup are provided in the page. -Click the Download Archive link next to the domain whose messages you want to view. Select from the options provided. A zip file that contains the archived messages will be downloaded to your computer. When you click on Access Webmail link, you will be redirected to Webmail and would be able to access the archived emails of the domain name you want to access the archive.